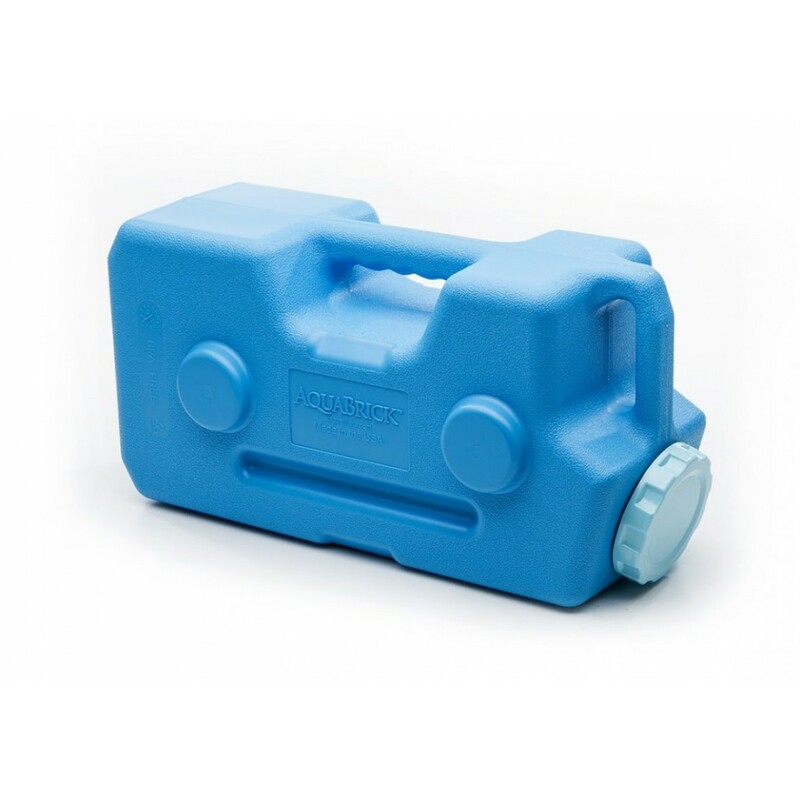 The AquaBrick can hold 3 gallons of liquids or up to 20 pounds dry food. Made of BPA Free high density/high impact polyethylene plastic for long term use. Comes with built in handles on top and side. Interlocking and easy stacking for storage. All AquaBrick™ containers easily stack and lock in place, making them convenient for home water and food storage. Great for storing water, food storage or anything which needs to be kept in a safe, water proof, rodent proof container. 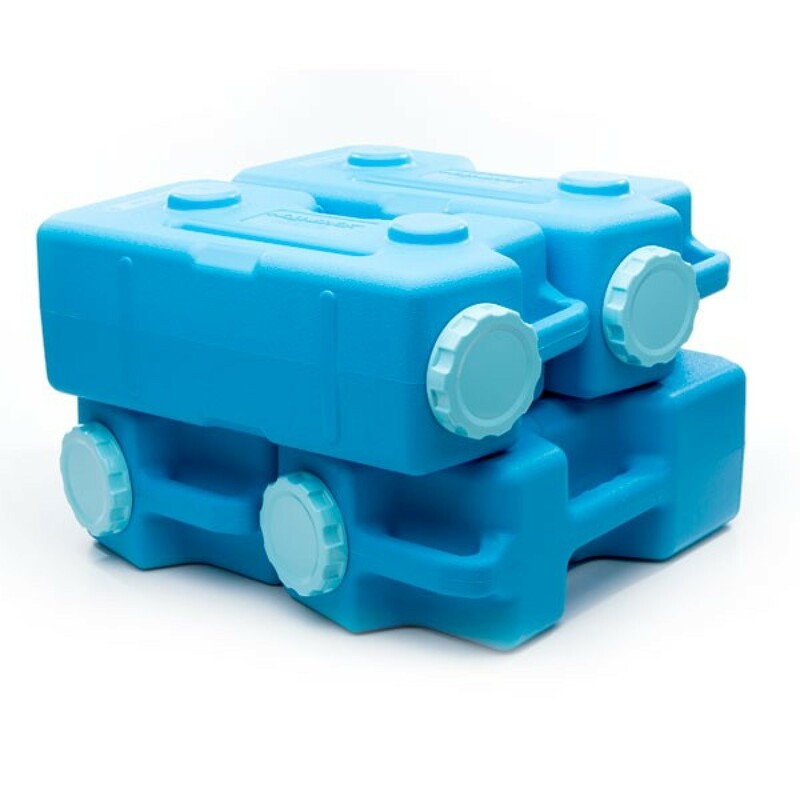 The AquaBrick holds 3 gallons of water for water storage and 20 lbs of food as an efficient food storage container. Containers are stackable in a variety of configurations so they easily fit into any area. Easy to pour and will empty out completely. Easy to carry, clean and use. Water tight and has useful strap down grooves on the sides. 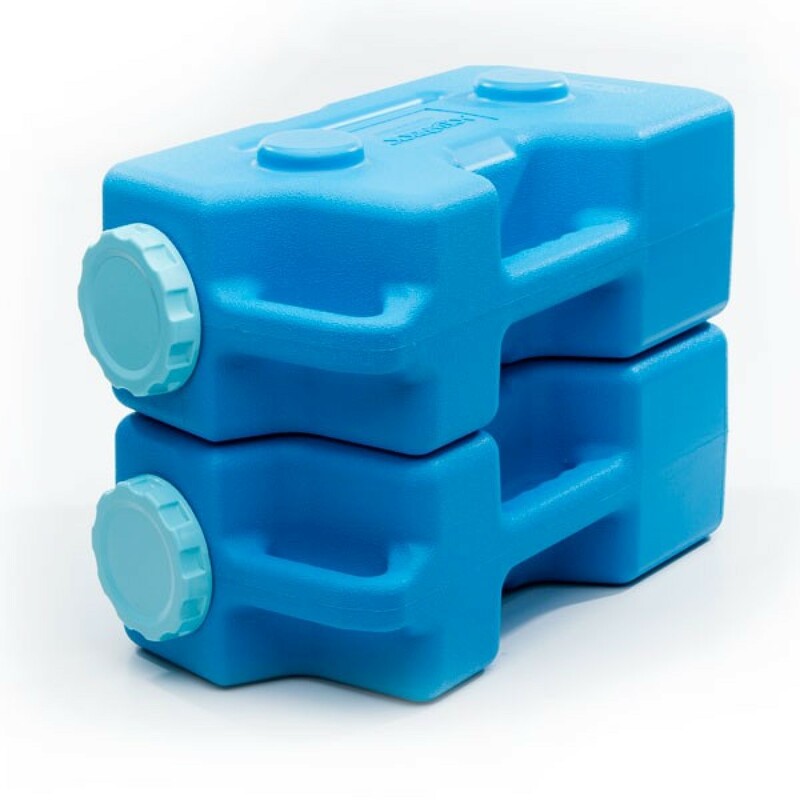 AquaBrick™ uses: Water Storage, Food Storage, Dry Storage, Camping, Hunting, Fishing, Picnics, Boating/Kayaking, 72 Hour Emergency Kits, as an Ice Block, Ammo Storage, Document Storage, ATV/Pack, Horse Storage Pack and many other uses. SKU: 1-0302. Categories: Tools & Gear, Water & Purification.